Clarisonic Sonic Radiance Brightening Solution Kit. As I am getting, ahem, older (we all are) the one thing that I worry about is my lack of radiance. My skin just looks dull. And don't even talk to me about age spots. I stay out of the sun, I wear SPF each and every day. I treat my age spots and even laser them, yet they keep cropping up which just makes my skin look more drab and dull. 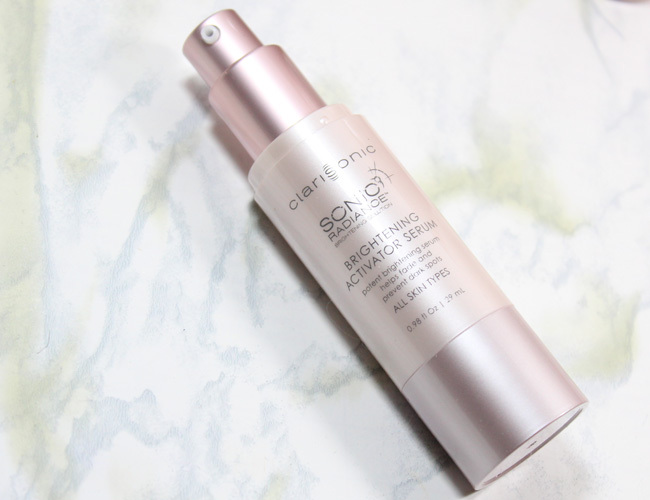 So when I hear that one of my favorite beauty tools, the Clarisonic, has formulated an entire system dedicated to brightening, I knew I needed to try it. 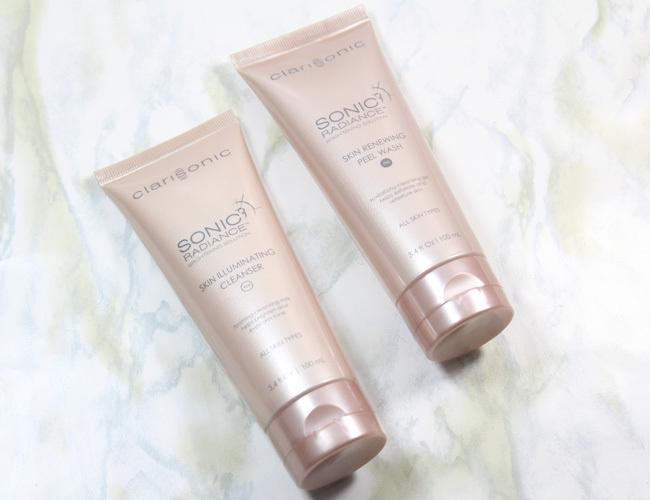 Meet the Clarisonic Sonic Radiance Brightening Solution Kit. The Clarisonic Sonic Radiance Brightening Solution Kit is a combination of device and brightening formulas designed to erase signs of damage and restore skins natural glow. I am loving the system and have been using it morning and night. 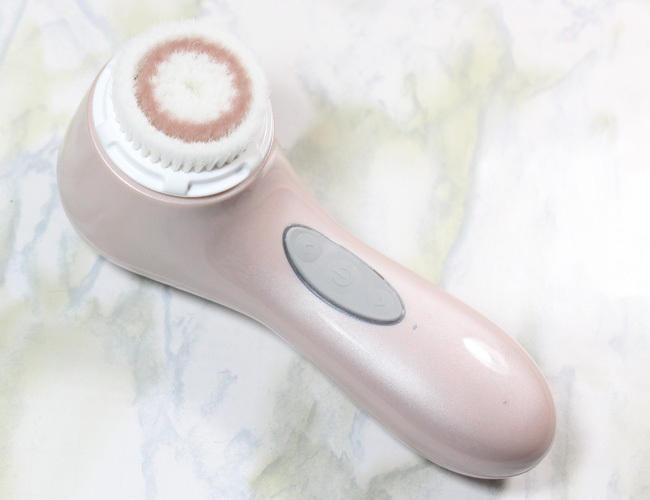 The kit includes the Clarisonic Aria (the device) in the prettiest pearlescent pink color, along with a new Radiance Brush Head that is made of dense, soft filaments to refresh the skin without irritating it. The formulas include a Sonic Radiance™ Brightening Solution Skin Illuminating Cleanser, a morning cleanser; Sonic Radiance™ Brightening Solution Skin Renewing Peel Wash, a nighttime peel wash; and Sonic Radiance™ Brightening Solution Brightening Activator Serum, a brightening serum. The brush helps to generate cell turnover and reveal brighter skin, but with the added ingredients in the cleansers and serum, skin is brighter, more luminous and radiant faster than just using skin care alone. The clinical results on the system are really impressive. Testers saw an immediate 37% improvement in texture, followed by 2.5x greater clarity in just a week, and 10x improvement in hyperpigmentation in two weeks. It was tested on a variety of skin tones and types of discoloration, and all showed significant improvement – including acne scarring, dark spots and blotchiness. 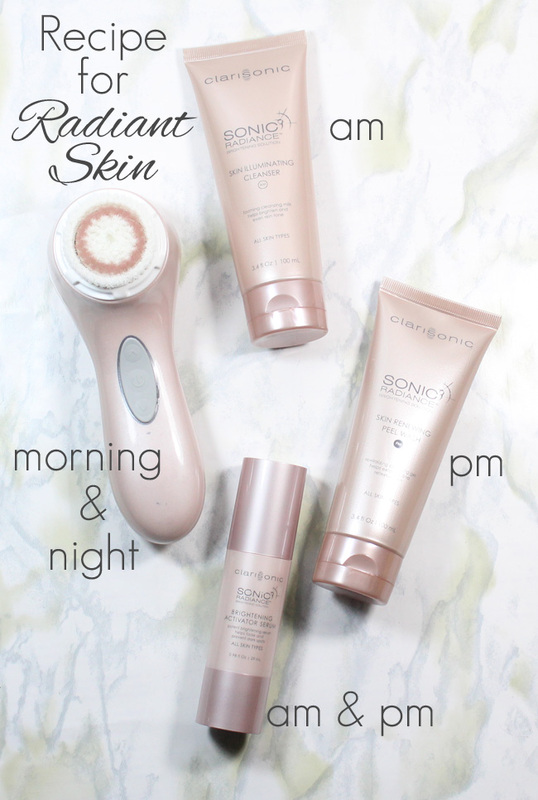 I have been using the Clarisonic Sonic Radiance Brightening Solution Kit for 10 days, morning and night and I have seen a real improvement in overall brightness, tone and clarity of my skin. I should note that I normally use my Clarisonic brush with Purity cleanser every morning in the shower, but the difference with this brush and formulas has really made a difference. Like I said, my skin is noticeably brighter. The area of hyperpigmentation on my forehead look to be lessened already as well. I will be using this system as my formula for cleansing long-term. The Clarisonic Sonic Radiance Brightening Solution Kit sells for $249 at Clarisonic.com, Sephora, Nordstrom, Dillard’s, Saks Fifth Avenue, select physicians’ offices and spas. The Sonic Radiance Customization Set is $125; Skin Illuminating AM Cleanser, $25; Skin Renewing Peel Wash, $25; Brightening Activator Serum, $65; Radiance Brush Head, $27; Radiance Brush Head Two Pack, $44. MAC Viva Glam Rihanna 2.